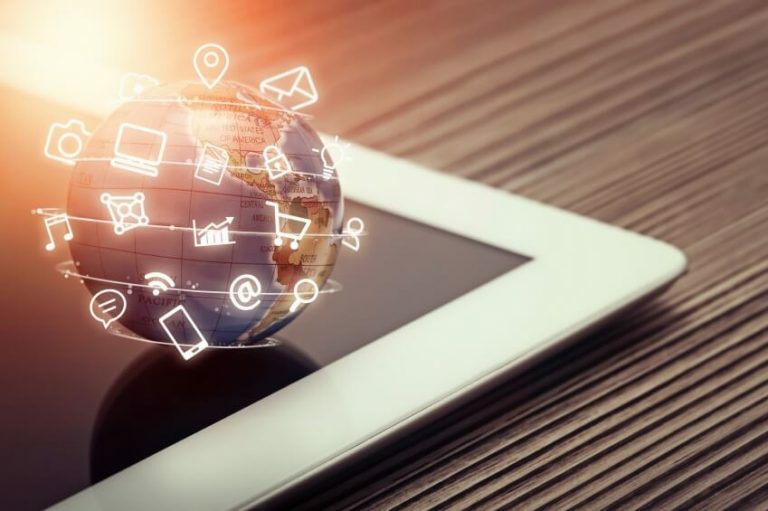 The internet was home to 3.8 billion users in 2017, and research indicates that this number will increase to 6 billion in 2022. This audience has 1.5 billion websites available during their browsing sessions. Your company needs to do more than merely put up a website to succeed in this environment. Having a strong online foundation is an essential part of growing as a business today, but it comes at a cost. Approximately 43 percent of cyber attacks hit small businesses, as they often have fewer IT security resources compared to larger organizations. The typical cost to a company following a data breach may reach $150 million by 2020. Your small business runs into major financial setbacks if you end up in this situation. One reason that this figure is so high is that it takes 197 days for many companies to find out that their networks were compromised. Protecting your perimeter is no longer enough to stop attacks, especially when attackers have dark web resources available to strengthen their attacks. Businesses need network security to protect against these cyberattacks. Before we dig into how the dark web impacts your business, check out our visual infographic below to help your get started. 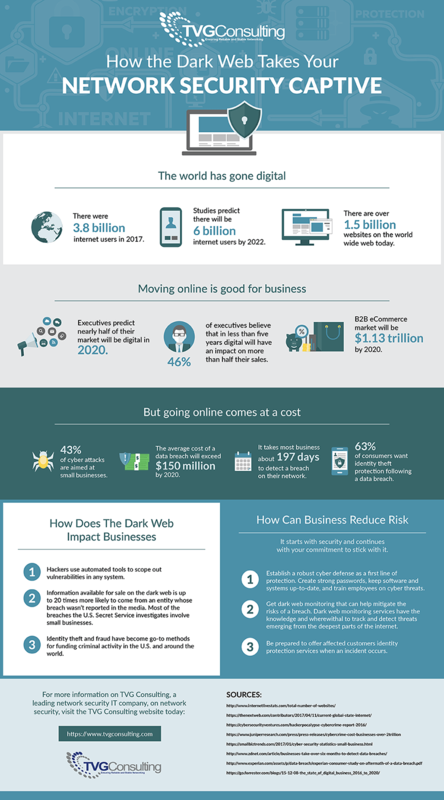 How Does the Dark Web Impact Businesses? You might wonder how the dark web poses a significant threat to your business. Hackers have access to automated tools that streamline vulnerability scanning. They don’t have to manually search for attack surfaces before trying to gain entry into your systems. They may also use the dark web to purchase personal information. This data often comes from unreported breaches, so you have no idea where a cybercriminal might find something that makes it possible to get into your network. Even if they don’t use this data against you directly, they use it to fund their efforts through identity theft and other fraudulent activities. Plus, being able to sell this type of data provides an ongoing incentive to continue breaching small businesses. Your risk mitigation strategy starts with security and requires an ongoing commitment to it. This project is not a one-and-done approach, as new threats show up regularly, as well as ways to beat them. Robust cyber defense strategy. The three layered areas of security to include in this strategy are a strong password policy, proactive maintenance of hardware and software, and appropriate cybersecurity training for everyone in the organization. Since phishing and other forms of social engineering are common ways for a hacker to get into a system, cybersecurity is an issue that every employee must be aware of. Dark web monitoring. This type of service looks for information about current and future threats. The monitoring also searches for data originating from your organization. Read more about how you can improve your network security through dark web monitoring. Prepare for a data breach. You can do everything right and still end up getting a network intrusion that results in a data breach. Have a plan in place to quickly provide affected individuals with identity protection following the incident. Look at this six-point VMware disaster recovery checklist for a good example. Your customers don’t want to wait around for a response when their credit scores could be getting wrecked. As long as data remains valuable, hackers are going to come up with new ways to get into your network. You need every tool available to stay on step ahead of potential intruders. Dark web monitoring is a must-have component of any comprehensive security strategy for small businesses. Network Security Threats: What Should You Look Out For?